Our local bastion of goodness and hope, St. Raphael's Hospice is holding their Christmas Craft Fair this coming Sunday (17th November). There will be 30 stalls at the fair selling a range of home-made goods such as jewellery, scarves, toys, sweets, cards, candles and Christmas decorations. As well as the craft stalls there will also be a bric a brac stall, raffle, St Raphael's Hospice merchandise stall and homemade cakes. I have no doubt many readers will have had loved ones spend their final days at St Raphael's. For me it was my Grandfather nearly 15 years ago now. 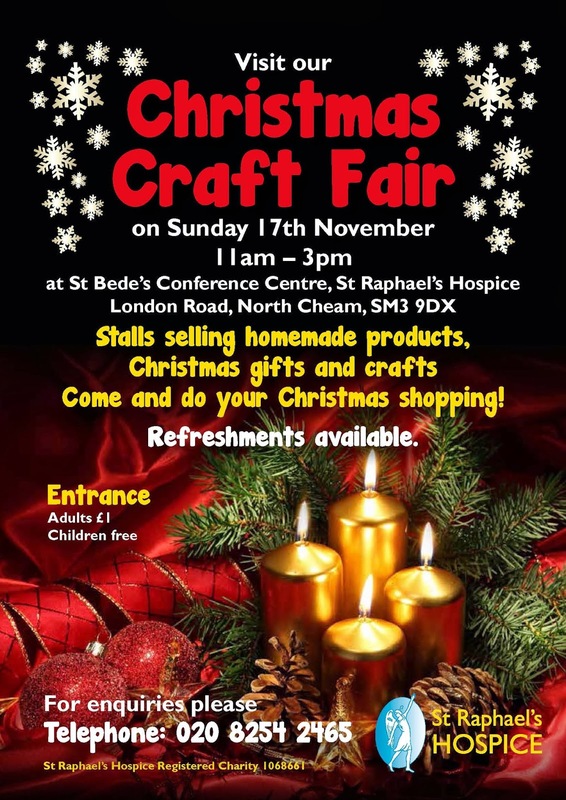 We all know how important St Raphael's is in the community so please go along and support them this Sunday.